This good-sized town facing apartment is ideal for couples or a family seeking comfort and convenience sleeping 3 adults or 2 adults and two smaller children. A pleasant lounge with a sofa bed opens to a contemporary U-shaped kitchen. The apartment also boasts a bathroom with shower over, and large bedroom with queen size bed. Your pet is welcome here too. You can relax in the south facing garden with spectacular south facing sea views. Devon is one of the UKs favourite holiday destinations due to the scenery, good food and great outdoors! Join us in Torquay, to tuck into a cream tea, have a go at surfing or enjoy a good pub lunch after a coastal walk. 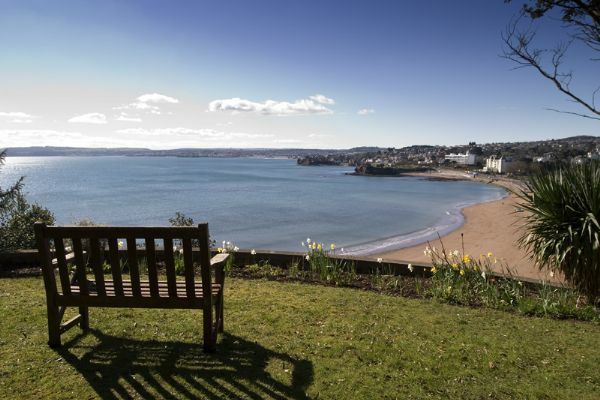 Astor House Apartments are set in an unrivalled spot of Torquay, overlooking the beach and Tor Bay, a few hundred metres from the town centre. The lavish Victorian Villa boasts two contemporary wings, and offers spectacular self-catering apartments in the heart of the English Riviera. 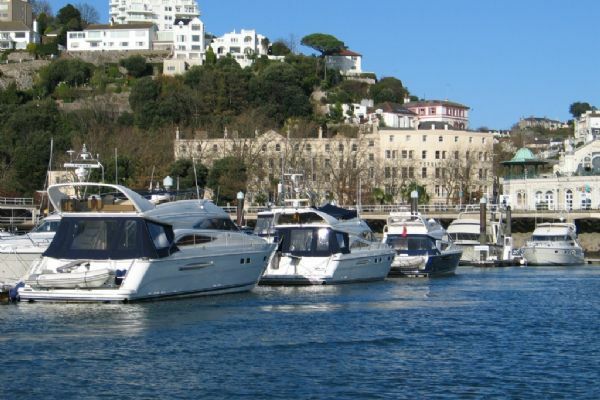 Torquay has its own warm microclimate and offers an abundance of leisure activities, with 22 miles of coastline offering sailing, walking, or colourful towns to explore. Whether you are looking for a fun-filled family holiday, a romantic coastal break or an activity break, Torbay has opportunities for everything. 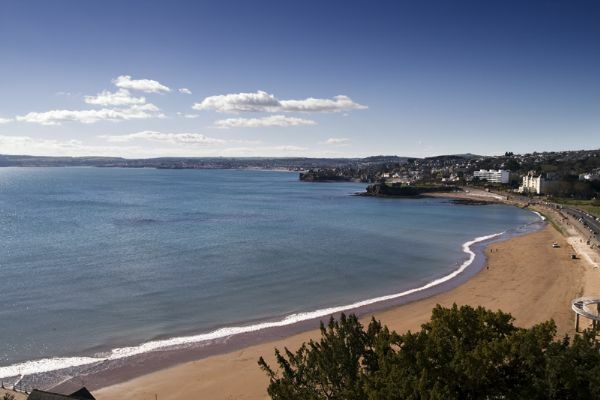 Known predominantly for the birth of Agatha Christie, the vibrant and cheerful town of Torquay offers a relaxing sea side break, or a town brimming with activities and excitement. The apartments offer contemporary comfort and sumptuous style with breath-taking uninterrupted sea views from our south-facing cliff-top location. Our most exclusive premier properties also come with added features, including extra spacious living areas and their own private balconies. 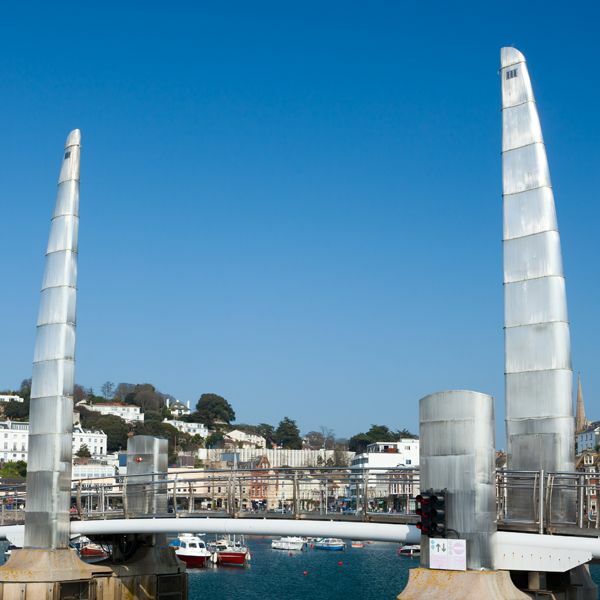 The apartments are an ideal base to explore the surroundings areas of the fisherman’s town Brixham, or the funky town of Totnes or Dartmoor, Exeter or Plymouth slightly further afield. With new restaurants, bars, the marina and high street shops a stone’s throw away, there is something to entertain everyone close by. Being perched on the coast just above the beach, you can amble along the paths absorbing the panoramic views of the Bay, and not worrying about taking a wrong turn, you’re bound to end up somewhere special! After a day of fun, return to the modern and luxurious apartments, to relax and unwind, or head off into town for a delicious dinner and drinks. The apartments provide the space, comfort and freedom a hotel lacks, allowing you to put your own stamp on where you stay.